For 15 weeks each fall semester, Professor Bob Surbrug’s students attend lectures, lead discussions and submit papers to meet the syllabus requirements of his One America: Jazz, Blues, Rock and Soul class, a history elective exploring the musical heritage of the American South and the African American experience that bred it. But according to Surbrug, the most important lessons of his class take place more than 1,000 miles from campus on a weeklong trip to historical and musical landmarks that line the route from Memphis to New Orleans. A collaboration between Professor Surbrug and Bay Path’s Office of Student Life, the annual trip to Southern states is typically focused on giving deeper context to Surbrug’s American history classes through itineraries that align with each semester’s topic. Previous One America tours have traced the life and legacy of Martin Luther King, Jr; explored the Cuban immigrant experience in Miami; and followed the path of colonialism, slavery and the Civil War through Florida, Georgia and South Carolina. 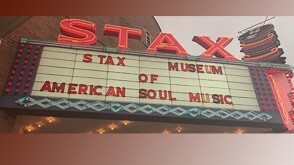 This year, the tour included stops at the National Civil Rights Museum, Stax Museum of American Soul Music, Graceland and New Orleans’ French Quarter, giving students the opportunity to engage with the stirring history and hard-won victories of African Americans and to witness the lasting impact of slavery, Jim Crow laws and the Civil Rights Movement on the nation’s attitudes, politics and popular culture. Between visiting museums, taking in concerts, and tucking into some authentic Southern cooking, students also did two volunteer shifts, one with a local animal shelter, the other at a food pantry. Students were also required to interview someone from a community they visited to get insight into life there, beyond the museums and tourist spots.